Is it time for a change? Walking Toward Eternity is an inspiring series which starts Tuesday, Jan. 8, at 9:30 a.m. in the St. Ambrose Center and is designed to help you live your faith more fully by developing and nurturing characteristics that are essential to the Christian life. Through dailyprayer andmeditation with Scripture, you will be drawn into an intimate and life-changing encounter with Christ. By putting the fruits of your study into practice, you will be able to make real changes in your life, changes that will make you more like the person God created you to be. 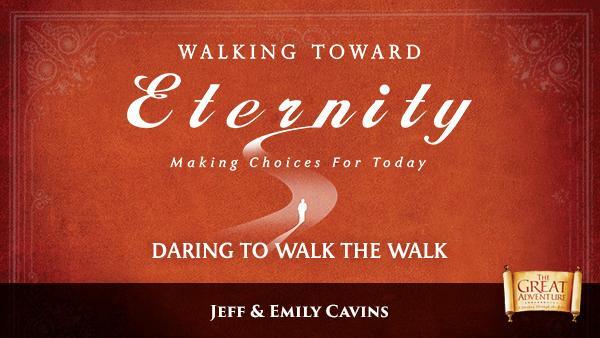 Daring to Walk the Walk, the first series of Walking Toward Eternity, introduces seven key virtues and outlines practical steps for living them out in your life. Join us on Tuesday mornings for this women’s Bible study, Walking Toward Eternity. For more information or to register for the study, call Kelly Beagles at (405) 203-7537 or email: luckyriver@aol.com.